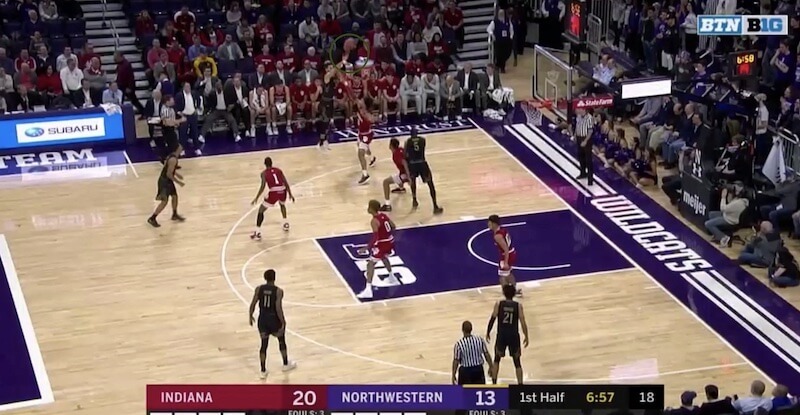 In their loss to the Wildcats on Tuesday night, Aaron Falzon got cooking against the Hoosiers and stole the show. The Newton, Mass. 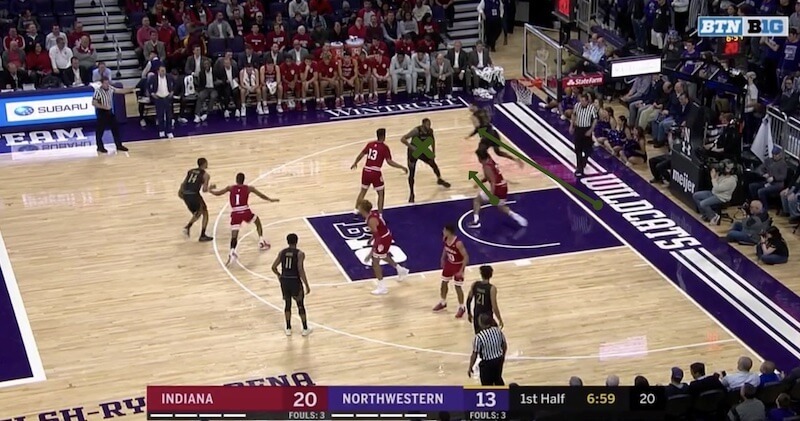 native lit up Indiana as he hit 6-of-7 from distance for a career-high 21 points. 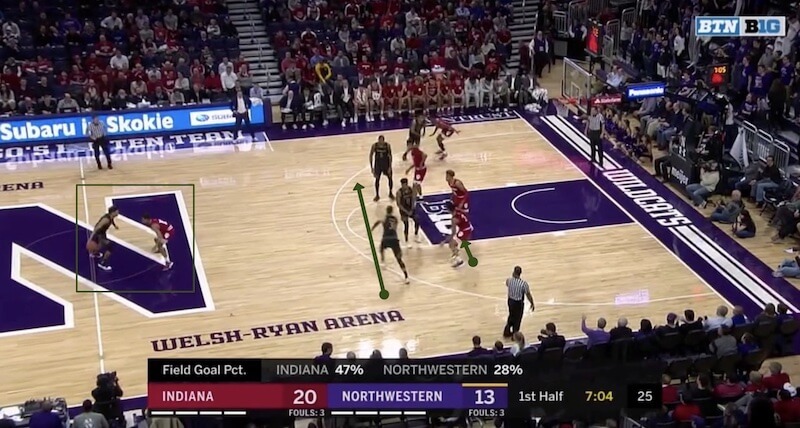 The Wildcats ran some nice Kyle Korver and J.J. Redick-esque action for Falzon, setting down screens for him to pop out to the 3-point line and heave. 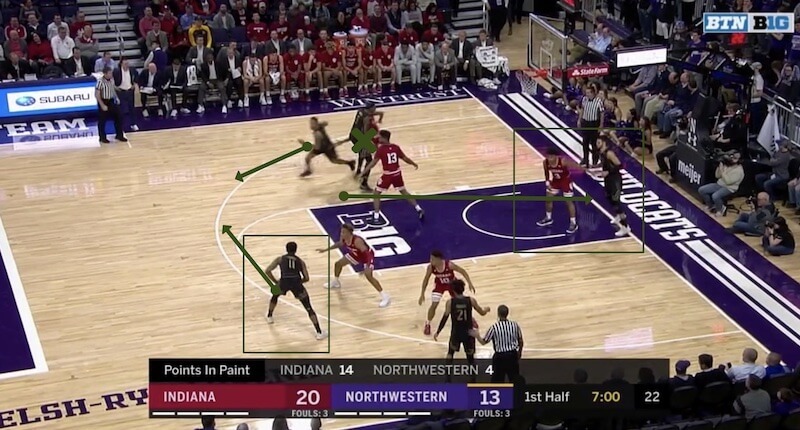 While Indiana did a decent enough job early on guarding him, as the game wore on, the Hoosiers lost more and more contact with him, which allowed an already hot shooter to feast. 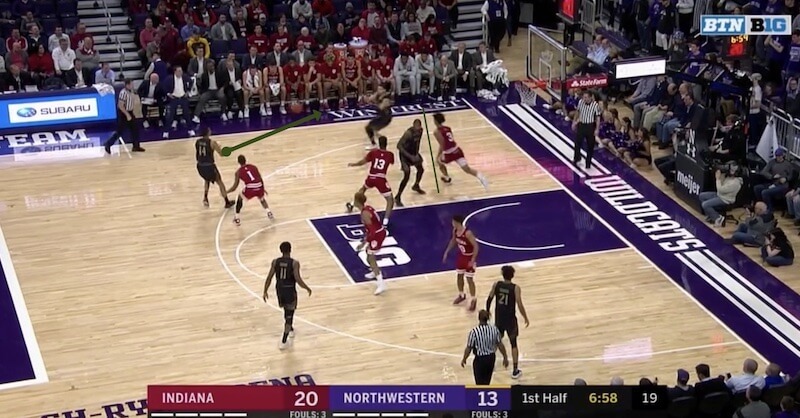 Overall this was good enough work by Smith chasing Falzon around, but all he needed was a bit of separation to get the shot out of his hands. It was this make that got him going and propelled him to his hot night.